Interdimensional Games has finally unveiled its Consortium: The Tower Kickstarter, along with plans for the full game. Did you play Consortium - either at launch or over the free weekend - and wished you could find out what happens next? Thankfully a sequel is on the way, complete with a new Kickstarter to move things along. Consortium: The Tower will pick up right where the original left off, moving from a small-scale aircraft to an attack on a futuristic skyscraper. 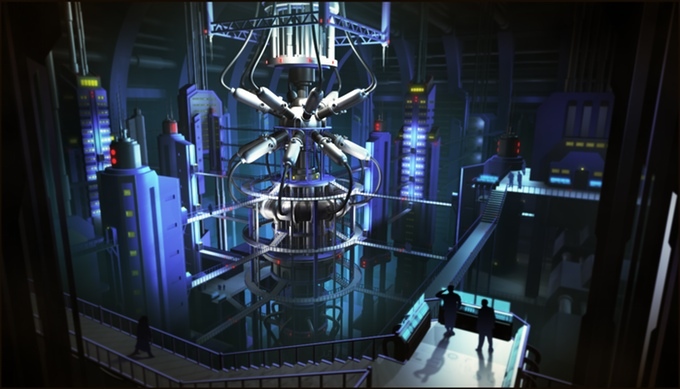 Consortium: The Tower opens in 2042 as a hostage situation unfolds within Churchill Tower. The player controls Bishop Six, an operative of the peacekeeping organization "Consortium" sent to resolve the situation as quickly as possible. But as Bishop Six encounters Churchill Tower's various factions, the motives of your own leaders in the Consortium comes into question, prompting you to choose which faction to ally with. The six factions mentioned in the Kickstarter include the Consortium, terrorists, civilians, and even the London Police watching events from outside the building. Complicating matters is Consortium's usual roleplaying gimmick: You're actually playing as yourself, controlling Bishop Six through your computer from an alternate timeline. But instead of simply making the game feel a little meta, some of The Tower's factions are aware of Bishop Six's true identity. This was a system the original Consortium handled to great effect, and should give your decisions to aid or oppose certain individuals more weight here. The Tower plans to expand Consortium's open-ended gameplay, where players can find multiple solutions to any given problem. 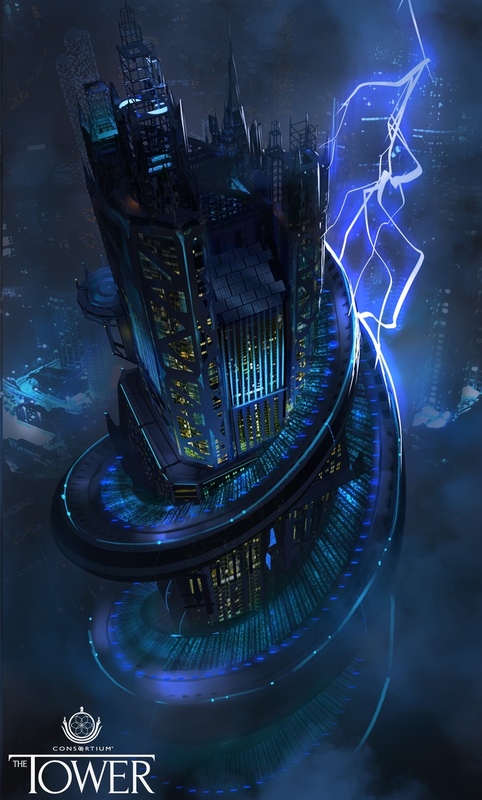 But instead of operating in a small environment, like Consortium's Zenlil aircraft, The Tower will give you full reign of a huge futuristic Skyscraper. The combat system will also get a overhaul, reflecting the larger battlefields along with advanced tech like invisibility cloaks and air gliders. And just like the original Consortium, players can aim for a negotiation approach and beat the game without once lifting a weapon - although the Kickstarter acknowledges this approach can be much harder. On a crowdfunding level, a major difference between Consortium and The Tower is the goal - $450,000, well above that for the first game. Gregory MacMartin explains this is because the scope of The Tower is so much larger, and that Consortium itself was almost completed when it's campaign launched. From the sound of things, The Tower is still a work-in-progress, although recent trailers suggest its been coming along in recent months. All the same, the original Consortium was one of my indie favorites of 2014, and The Tower seems to be taking the series in a great direction. The main downside is that even if The Tower's Kickstarter succeeds, we won't see the end result until Summer 2017. Still, if the game proves to be anything like the original Consortium, it will absolutely be worth keeping a close eye on.